Your estate is the "stuff" you own: real estate, cars, personal property, businesses. You don't have to be rich to have an estate. Estate planning is figuring out what you want done with your property when you die. We can help ensure that your wishes are carried out when the inevitable happens. Did you know that putting rental property in an LLC can protect you from losing your home? Did you know that formalizing your home-based business can save you money in taxes? We can help you structure your property and activities in a way that protects you, your family, and your assets. When someone dies in Arkansas, their estate must go through probate (we can help you avoid probate by planning ahead). Usually family members don't know where to start. We can help you get through the sometimes complicated legal steps. There are many types of trusts: revocable and irrevocable trusts, family trusts, pet trusts, charity trusts, special needs trusts, and more. We can help you determine whether you need a trust. Medicaid is very complicated, and the laws are state-specific. If you are confused about how to apply for Medicaid and how to protect your assets, you are not alone. Let us help you navigate this ever-changing area of law. Jason Files has been an attorney in Arkansas since 1995 and has extensive trial experience. He began his practice in personal injury and went on to include criminal defense, family law, and business and civil litigation. These days, he takes on a very select, small number of litigation cases in addition to probate and estate cases. Let us know if you want to discuss your case. Jason is a native of Arkansas. He earned his undergraduate degree from Rhodes College in Memphis, and his J.D. from UA Little Rock's Bowen School of Law. He has practiced law in Arkansas since 1995. He is married to Stephanie Harris, also an attorney. They both practice throughout Arkansas. Jason's primary focus is estate planning. He believes we should be able to protect our assets and our families for an affordable price. Services include trusts, wills, powers of attorney, deeds, and other asset protections. Jason also has extensive experience in criminal defense, personal injury law, and family law. He will take on a select number of litigation cases in addition to estate planning. Stephanie Harris has lived in Arkansas since 1997 and has been practicing law since 2006. Her role at the Law Office of Jason Files is marketing and communications. Stephanie has a background in journalism and law, which were the perfect combination for her role as Communications Counsel for the Arkansas Supreme Court. She was the first and only person to hold the position, from 2010-2015. 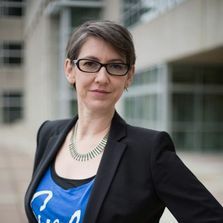 Stephanie also founded and runs a nonprofit, Women Lead Arkansas, as well as a "virtual" legal service called Law to Go. Jason and Stephanie have been partners in law and in life since about 2005, and married in 2014. They both enjoy traveling, dogs, and all the nieces and nephews they have the pleasure of spending time with. If you aren't in one of these areas, give us a call anyway. We are happy to refer you to colleagues in your area if we aren't able to assist you.